Wake up your audience with this thought provoking, interactive, entertaining opening keynote experience. Joshua Seth is a world touring psychological illusionist, celebrity voice actor on nearly 100 animated TV series and Movies, and author of the best-selling book “Finding Focus In A Changing World: How To Make the Impossible Possible by Thinking Differently”. In this dynamic opening keynote experience, Joshua Seth shares the secrets to creative problem solving through innovative thinking as a collaborative team. Joshua uses mind-blowing, interactive thought experiments to demonstrate the key principles that allow us to think differently, collaborate creatively & achieve the impossible. He promotes change by showing audience members how to unleash the potential of their own creativity, so they can innovate successfully in a rapidly changing world. A high-energy, thought provoking keynote that gets everyone inspired, engaged, and committed to creating connections with one another. In this unforgettable presentation, Joshua uses interactive psychological illusions as metaphors to demonstrate the principles that allow us to think differently, collaborate creatively, and achieve the impossible. As Joshua says, "when we all put our minds together and creatively innovate, we can embrace change and make the impossible possible”. We’re all under more pressure now than ever before. Inundated with a constant stream of information - and technological distractions are everywhere. Discover how to rewire your brain to go from overworked and overwhelmed to energized and productive. Work smarter, not harder, and achieve more with a lot less time and effort. In this highly entertaining, content-rich presentation, best-selling author Joshua Seth "Finding Focus In A Changing World" shows you life changing brain hacks to master your morning routine, maximize your productivity throughout the day, and attain Inbox Zero in under an hour. This could be the most productive session you attend all day. In his bestselling business skills book Finding Focus In A Changing World, Joshua Seth reveals how to rewire your brain to find focus, become more creative and productive, and make the impossible possible. We're all under more pressure now than ever before, inundated with a constant stream of information, interruptions, and disruptions. It's more important now than ever to know how to focus on what's important so you can succeed in a rapidly changing world. This book is an owner’s manual for your mind. 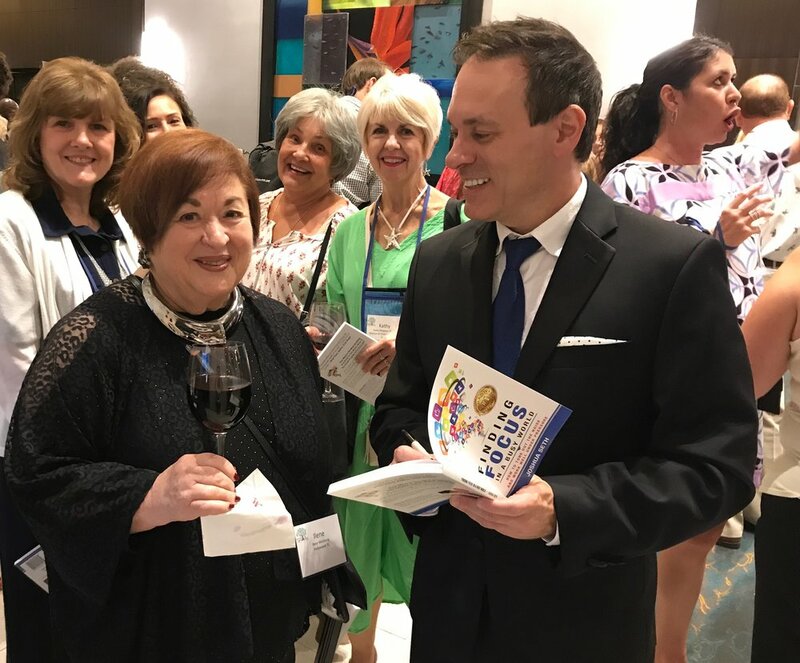 As the author of “Finding Focus In A Changing World”, the best-selling book about thinking differently, Joshua is uniquely qualified to share insights and ideas that can create innovative change in your organization and across your industry. He’ll get your attendees thinking differently about solving problemns, innovating solutions, and collaborating with each other. Joshua is an expert at bringing audiences together. He’ll weave interactive thought experiments throughout his presentation and get everyone connected with energy, laughter, and amazement. Joshua’s comedic voice is featured in nearly 100 animated TV shows and movies. People show up when there’s a celebrity at your event. Wouldn’t you be curious to hear that guy from Digimon and Spongebob Squarepants speak to your group about creative thinking? As a world touring Psychological Illusionist, Joshua has entertained millions of people from Las Vegas stages to over 40 countries throughout the world with his mind-blowing psychological illusions. He’ll weave them in and out of his keynote as interactive metaphors for the key points in the speech. It’ll keep your attendees on the edge of their seats. You’re in good company. Joshua’s presented for some of the world’s most innovative companies including Pfizer, Uber, Deloitte, and Disney and well as many of the world’s leading Universities such as Harvard, Stanford, and Oxford. That’s experience you can trust.